German Lafette 42 & Mgz34 Optic For sale. 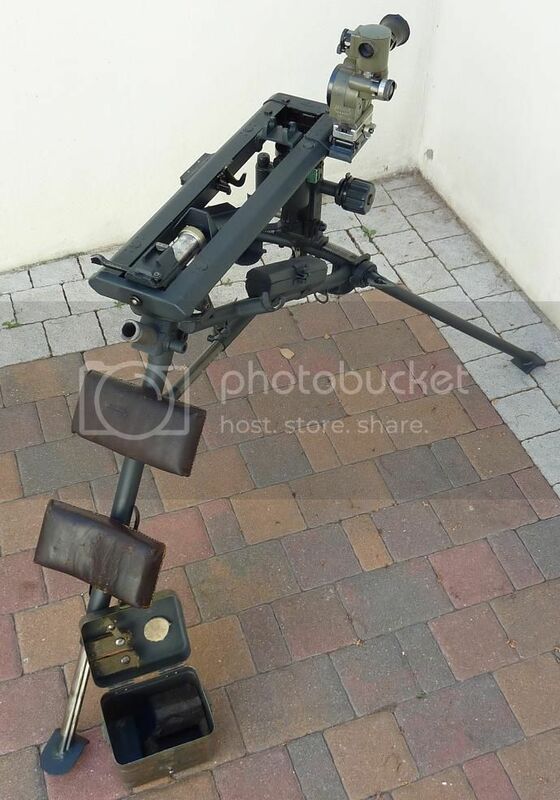 I have for sale my Lafette 42, MG42 machine gun tripod. 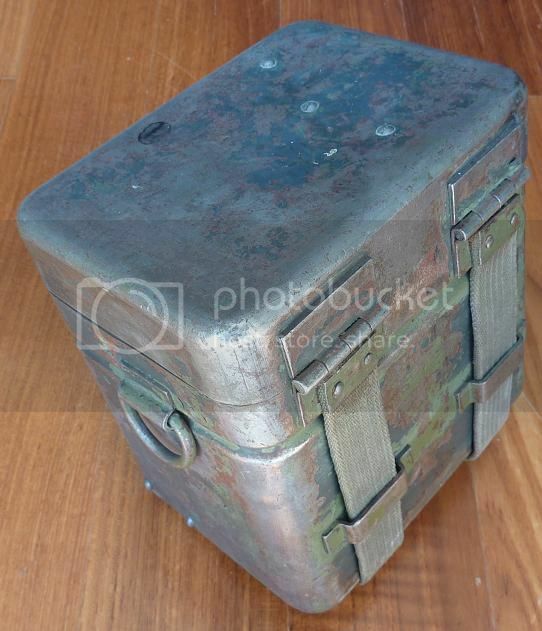 I originally bought it back in the early 2000’s, having been used post-war by the Austrian Army. It had remained in its post-war, Austrian green paint only until recently when I restored it to its former glory. While adhering to the remains of the original Red Oxide and Dunkelgrau, beneath the Austrian green, I additionally did a great deal of research and sought expert advice to make sure everything was painted (and, indeed, not painted) as per the factory specification. Therefore, what I have here is a Lafette 42 that has been stripped and cleaned down to the last nut, bolt, pin and rivet. It was then sprayed with several coats of Red Oxide and several coats of Dunkelgrau which was matched to the remains of original paint. It was then greased, oiled and carefully reassembled. • The price for this item is 2500 Euro plus postage. • It also came with a set of Austrian Army, leather carrying slings which are included in the sale. 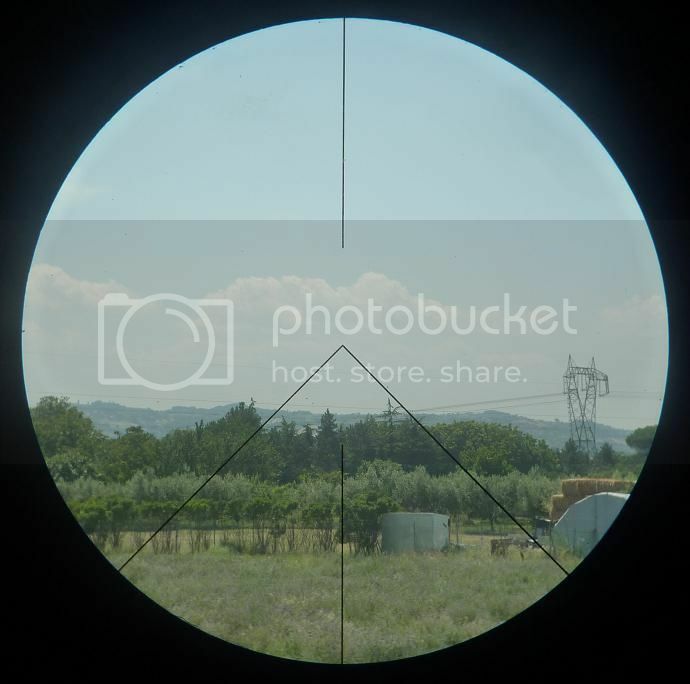 • Does not include Mgz34 optical device. 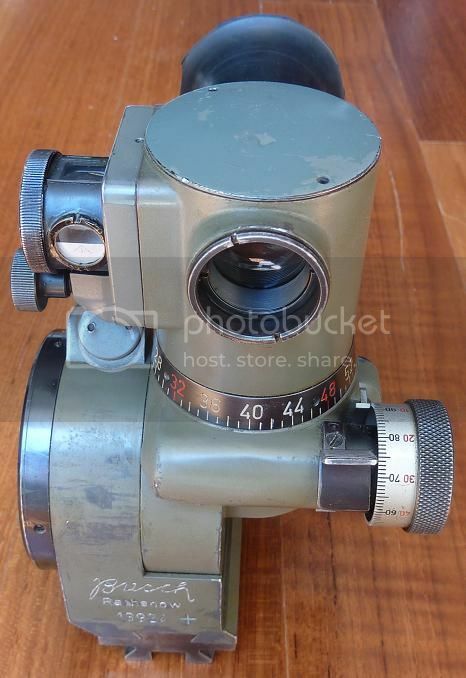 Secondly, my Mgz34 optical sight made by Busch Rathenow. 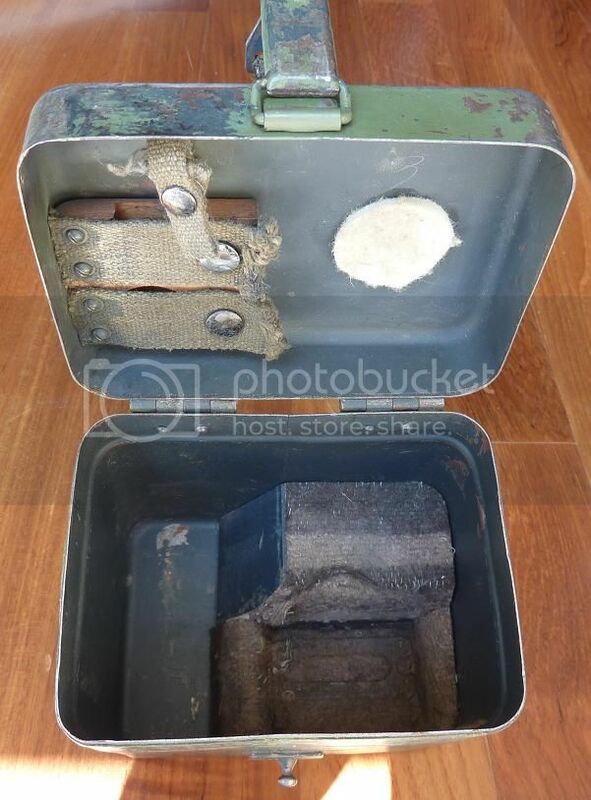 I believe this sight came from ex-Norwegian stock at some point after the war hence the Green paint on the outside of the storage tin, which, incidentally I have carefully removed(about 80 to 90%) to reveal what remains of the original German paint. Taking into account it’s age and wartime/post-war use this device is in absolutely near mint condition with zero rust, perfect (and recently stripped & cleaned) optics and near perfect paint to the body. All controls and moving parts are perfectly smooth and free moving without slop, as per a factory build. The can is missing its wooden brush holder but this stands to reason since many were removed to allow for storage of the periscope accessory. 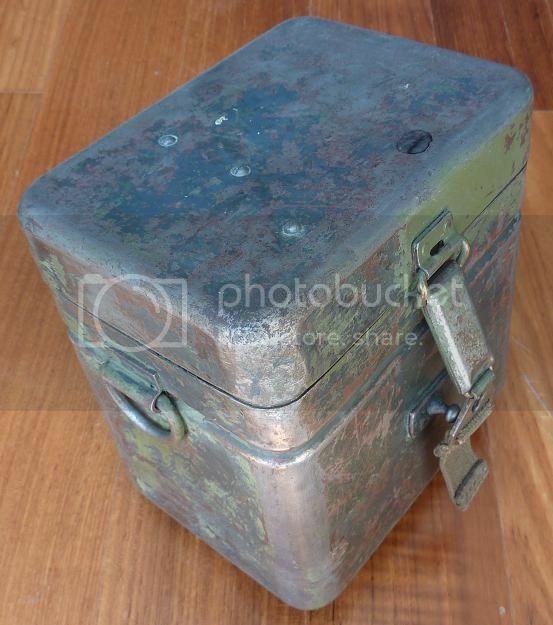 This is backed up by the fact the space, that would be taken up by this wooden fitting, has paint the same colour as the rest of the can, while the paint behind other wooden parts is a different colour and no doubt older. It also does not contain any coloured lens filters. 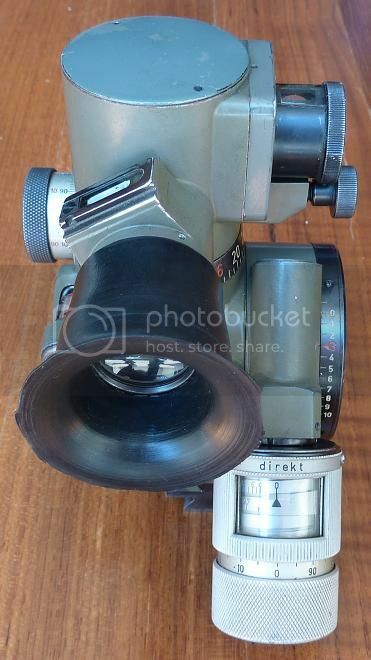 • The price for this item is 2000 Euro plus postage. • I will calculate postage for these items when I receive enquiries as there are too many variables e.g. destination. • Payment to be made by bank transfer. Any bank transaction fees to be paid by the buyer. • Any import duty and tax incurred is the buyer’s responsibility. • Since this item is being advertised on multiple websites I reserve the right to filter interested parties be that for the asking price, a deal or above the asking price. Whatever the circumstances, if there is continuing interest from multiple parties, I will be open and honest with all as to what is on the table to allow for counter offers. • If you require any more information or photos then don’t hesitate to contact me. 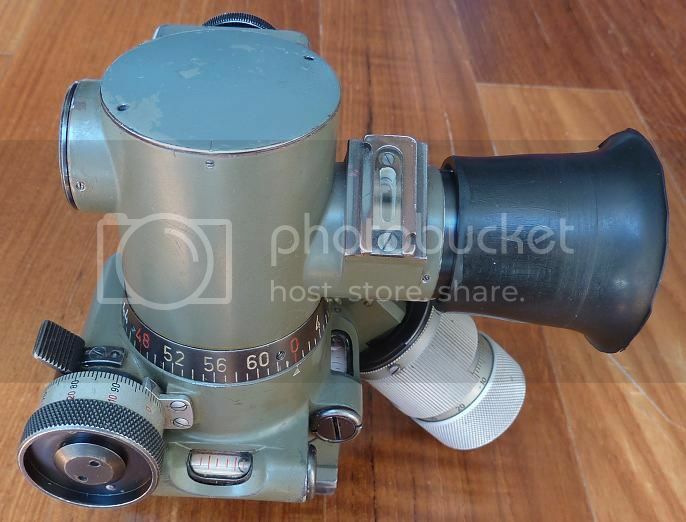 Re: German Lafette 42 & Mgz34 Optic For sale. Sorry to see you selling this. You put in a lot of time and effort in restoring this. Good Luck. Well, it's come to that time. I havn't got the MG for it anymore, and with two children taking up the spare rooms I've nowhere to display/store the stuff except either on top of the wardrobe or under a piece of plastic in the garage. I was actually thinking of buying non original paint tripods, be they German or Yugo, and restoring them as per WW2 colours and selling them on. Might be a good little side project. Good Luck with the sale and the side project. Enjoy the 2 little ones as they grow up. Our 2 grew to fast. 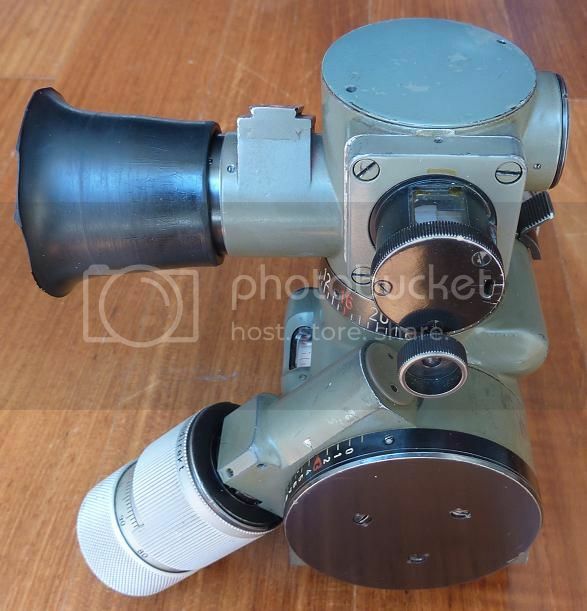 Also nice lafette and scope for sale. Lafette still for sale and open to offers. Price reduction (and currency change). Now: £1700.00 (approx $2888.00 / €2121.00) plus postage. Yep, I got it. Not had a chance to have a look at postal options yet. Probably this evening or tomorrow morning. Thanks Tom, didn't want you to miss it. Paypal accepted. Any Paypal fees to be paid by buyer. New price £1550 (approx $2386).